Each year roughly 60,000 people, mostly children, die from rabies. Globally, more than 99 percent of human rabies deaths are caused by dog bites – almost all in sub-Saharan Africa and Asia. Millions of people are saved by costly post-exposure prophylaxis – a series of post-bite vaccinations, the first of which must be administered within the first 24 hours after a person is bitten by a rabid dog. But once symptoms appear, the disease is fatal. 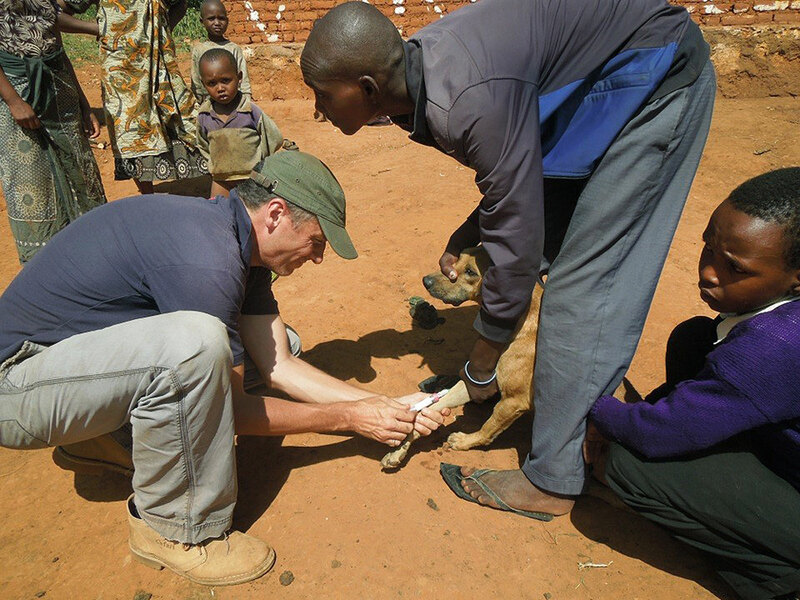 WSU, in collaboration with the Serengeti Health Initiative, has been working to control rabies in areas of northern Tanzania through annual mass dog rabies vaccination campaigns. But rabies continues to be prevalent, in part because of the challenges of transporting vaccines to remote areas where vulnerable people live in resource-poor communities. Mass vaccination teams generally only visit communities once a year, if they can get there at all. When new dogs are born or move into the community, the level of protection against rabies drops. In community-led programs, thermotolerant vaccines could be stored in the community where local coordinators would vaccinate the entire dog population.